Sculpts face with luminous, pearlized texture. Blush Mineralize is a refined cheek color formulated with baked minerals for a lightweight application. Color builds lightly, without creating a heavy coverage. 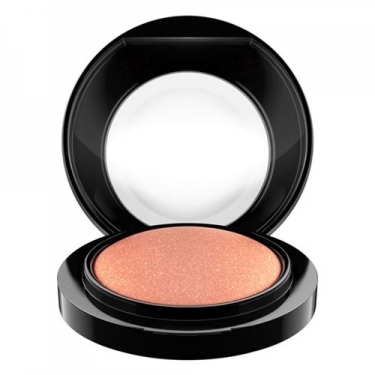 Defines and enhances your cheekbones with a luminous, pearlized shimmer. Use a full soft brush and apply a thin layer. Avoid the artificial look and do not exagerate. Brush along the cheekbone sweeping upward to ear line with fast light-weight strokes. To flatter pale/fair skin tones use pink shades. Tanned or dark skins should apply earth yellow tones. When applying do not smile, because it may stress expression lines.